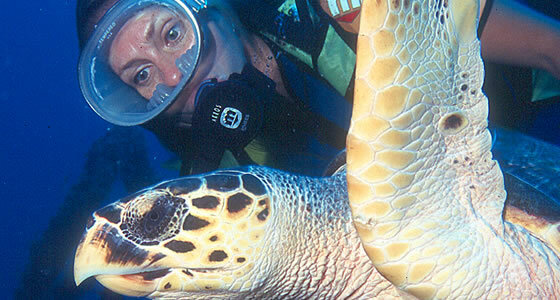 Activities in Fernando de Noronha . Wondering what are the activities and how to keep yourself busy in Fernando de Noronha? Located in the Atlantic Ocean, approximately 550 km(341,7 miles) north east of mainland Brazil, this archipelago of volcanic islands forms part of the country’s Pernambuco state. Witness to numerous invasions over the centuries, since it was reportedly first discovered by Amerigo Vespucio in 1503, the islands have been occupied by the English, Dutch, French and Portuguese. Today, though Fernando de Noronha is composed of 21 islands and islets, access to visitors is limited to the largest island, which is the only inhabited one. Understanding the importance and fragility of this ecosystem, around 75% of this island and all of the other islands form part of a National Marine Park, established in 1988. Visits are generally not allowed to the other islands, except with special authorization of the governing environmental agency, the Institute of Environment and Renewable Natural Resources (IBAMA), and usually only for monitored research work.